1955 Marlboro Cigarettes original vintage advertisement. Photographed in black & white. 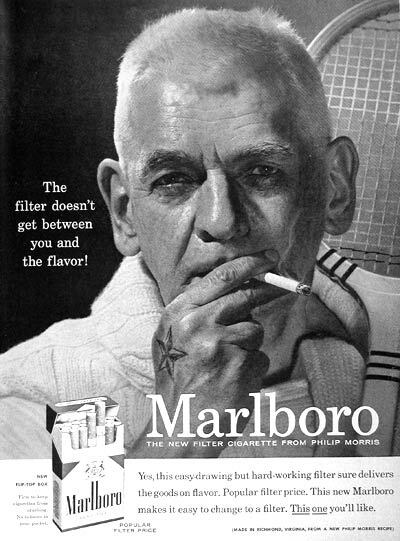 "The new filter cigarette from Philip Morris."